At our worship service, we combine the music from the Organist and the FaithFull Worship Band with our liturgy, hymns & songs, offertory, prelude, and more. Each part of the service in some way contributes to the “conversation” we are having with God. The sermon is not the only medium for the word of God. We hear God speaking in the readings, hymns, anthems, and liturgy itself. We also receive the body and blood of the living Word, Jesus Christ. Worship provides us with opportunities to offer to God our praise, thanksgiving, prayers and concerns. Welcome to our new website! Be sure to come back soon to see updates! I came across a devotion that speaks so clearly to the community and relationships of our congregation. “A gift! You open the box only to be greeted by those dreaded words: ‘Assembly required’. But if the gift is a jigsaw puzzle or a model you’ve been longing to put together, the opportunity to assemble is the best part of the gift. 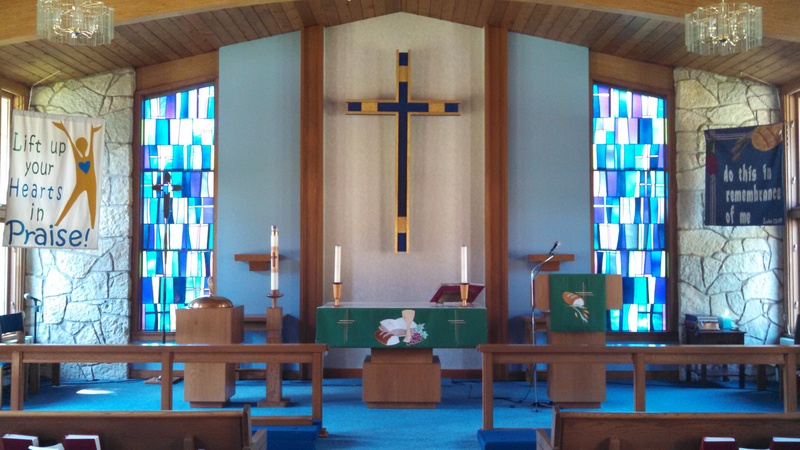 I believe that Our Savior Lutheran is a gift and our “assembly” is coming together in worship and community. I know you will find love and encouragement! Come and be with us. We GATHER in Christian fellowship for spiritual renewal and inspiration through prayer, praise, and thanksgiving. We GROW from learning about Jesus Christ, seeking to make disciples of all of God’s people through creative worship, enriched education, and inspired participation. We GO to serve the spiritual , physical, and emotional needs of others by reaching out to our families, neighbors, and community with actions that show the love of Christ. What is Hope On The Hill?